We all know each individual is unique, and the world is made up of all kinds of people not only in terms of ethnicity and race, but those who are introverts and those who are extroverts. If you’re an introvert the good news is that believing an extrovert is the only type of person who will make a successful business owner or entrepreneur is WRONG on so many levels! Often Introverts need solitude to process and focus on tasks at hand. As focused thinkers they are able to accomplish a lot. 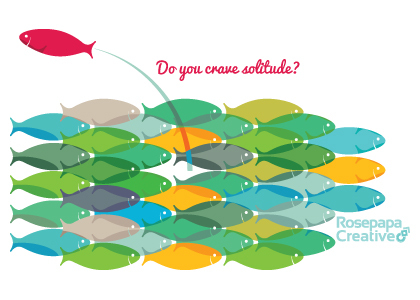 You love (and even crave) solitude. No, it doesn’t mean you’re antisocial but you may be someone who is great at focusing and processing information, oblivious if others are around. Many who are considered introverts aren’t all that verbal, and prefer to observe and soak in information. Because of your ability to absorb things that are going on around you without actually being in the middle of the conversation, seminar, or event, you can often take in subtle details or important info others miss because they ARE so busy talking or trying to gain a position in the spotlight. Introverts are generally more realistic. You know things aren’t always positive, and there will be obstacles along the way. Unlike extroverts, you take a realistic approach to your capabilities and the realities in every situation, sometimes analyzing information to a far greater extent than those who loudly promote their efforts, are easily led in the wrong direction, and who may “fly by the seat of their pants.” You don’t view the world through rose-colored glasses, which is a very good thing when you’re trying to start or grow a business. As you can imagine, listening is a hugely important trait when it comes to customers and their satisfaction with your products or services! While you may not be overly outgoing or a great public speaker, you are dedicated to doing the best possible job and providing solutions/value to your clients. You listen, REALLY listen. How many times have you been caught up in a discussion and realize some of those you’re talking to aren’t really paying attention? They’re waiting for the next opportunity to interrupt or get in their two cents. Introverts tend to listen closely rather than interrupting at every opportunity, which can result in turning a situation that could be chaotic into one that’s beneficial. As you can imagine, listening is a hugely important trait when it comes to customers and their satisfaction with your products or services! While you may not be overly outgoing or a great public speaker, you are dedicated to doing the best possible job and providing solutions/value to your clients. When it comes to business and clear client communication, good listening skills are an absolute MUST. These are just a few of the reasons introverts are often the entrepreneurs who eventually become household names; examples of some of the most famous including Steven Spielberg, Bill Gates, and yes, Mark Zuckerberg of Facebook fame. Take the spotlight online through digital media. Rosepapa Creative will help your business stand apart! 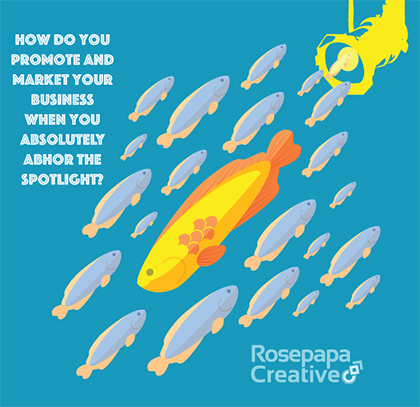 Now for that awkward and dreaded question: How do you promote and market your business when you absolutely abhor the spotlight? Thanks to the Internet, it really isn’t all that hard. Introverts often prefer to write about their thoughts, creations, and ideas rather than talk about them. This is great news considering blogs, social media, articles, and other content is what makes up the world wide web as we know it. It’s important to note that not everyone who is an introvert is shy – they just prefer to focus on their work, business success, and future in a way that isn’t put out there front and center. Online you can stay behind the scenes, having someone else take care of the promotion of your business whether in videos or webinars; play to your strengths whether it’s writing, social sharing, or another medium. Yes, a video may be viewed by gazillions of people around the world – the difference is, you’re not standing in front of them when you create it. Big difference! Networking with others on LinkedIn or other business-oriented platforms is easier for introverts and a far cry from putting yourself on display in front of the world for all to see. Use the medium(s) you’re comfortable with, and calm your anxiety knowing that introverts are highly capable when it comes to small business and entrepreneurship, perhaps even having a leg up on the competition because of the traits listed above, and many more not listed. In the end, nothing should stop you from going for it! Read these encouraging quotes for business entrepreneurs. 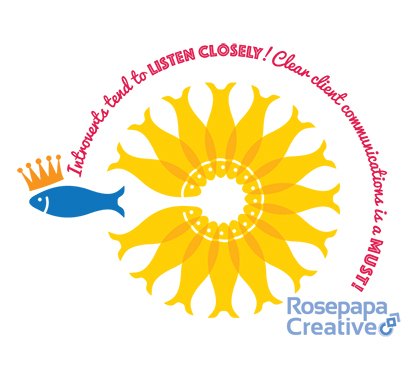 Rosepapa Creative LLC works with small business professionals to provide a cohesive solution that is designed to increase visibility and profits. With over 15 years of marketing experience and a proven track record of results, Christina, Owner and Creative Director, has helped numerous small businesses through effective branding, messaging, web development, creative design and ongoing support. Contact us today for a complimentary marketing review.